The HNB token represents ownership of the HNB economic entity, while the HGS token is a stable payment medium. High security and high efficiency are achieved by combining DPOS and Algorand. Instant transactions with no fees. HGS token issuance fluctuates based on the scale and liquidity of the decentralized economy. Enterprises can integrate their own sidechains to allow for issuance of new digital assets interchangeable with the HNB main chain. Ultra-lightweight merchant SDK access, allowing merchants to turn their product into a DApp within one day. Online reports indicate that popular cryptocurrency frameworks such as Bitcoin have a very long transaction confirmation time, taking on average over 10 minutes to complete a transaction and only 7 transactions/per second. Similarly, Ethereum is reported to only process 20 transactions/per second and Bitcoin. HNB will be alleviating this issue by having transactions instantaneously processed when a purchase is approved within the closed loop economy. This function is present in transactions made with either HGS or HNB tokens. By utilizing a closed loop economy, it eliminates the need for a third party (miner) to approve the transaction between a buyer and seller. The proof of work system utilized by Bitcoin validates any transactions made with Bitcoin and is added to the blockchain. However, as outlined in the previous point, takes an arduous amount of time, requiring large amounts of computational power. The subsequent cost is noticeable both economically and environmentally. However, we propose to solve this solution again using the deregulated economy we created. As transactions are instantaneous within the HNB economy, an infinitesimal amount of processing power is required so there is a substantially lesser impact on the environment. 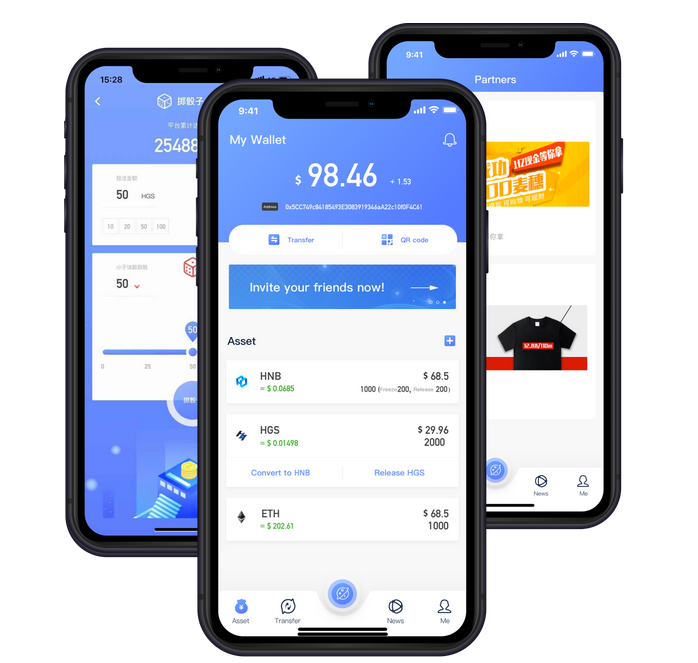 Additionally, there is no additional transaction fee associated with purchases made within the HNB economy, so transactions are not economically draining. A lack of a regulatory body within a decentralized blockchain can cause problems, such as increased illegal activity, breach of personal information, scamming and market manipulation. However, HNB will be countering the issue by introducing a system of DAO governance. Within this system, policies and decisions are made through participants within the ecosystem selected at random with the outcome attained being executed using smart contracts without any human intervention. Additionally, there are economic incentives and penalties built into the ecosystem that encourage activity within the community but also discourages any actions that may inflict negative impacts to oneself or other users. 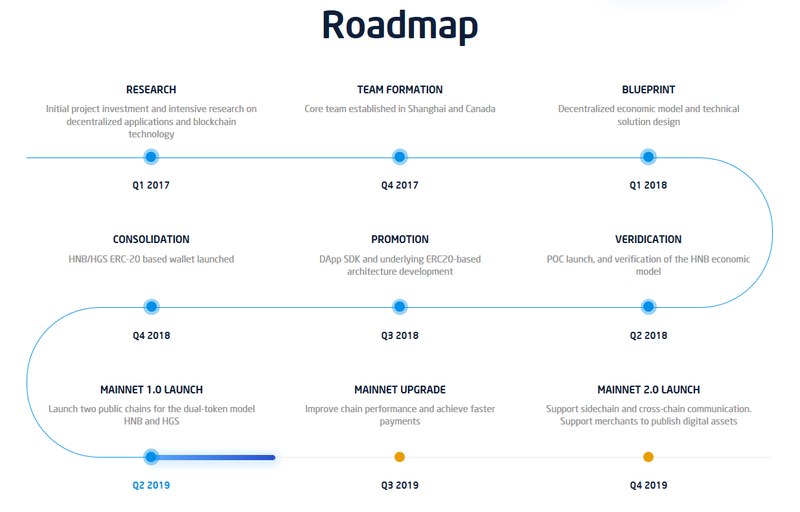 HNB is connecting the global economy with the decentralized digital economy. will be subject to a long term (2 years) vesting period. into a Smart Contract and cannot be changed. is no locking mechanism for foundation. 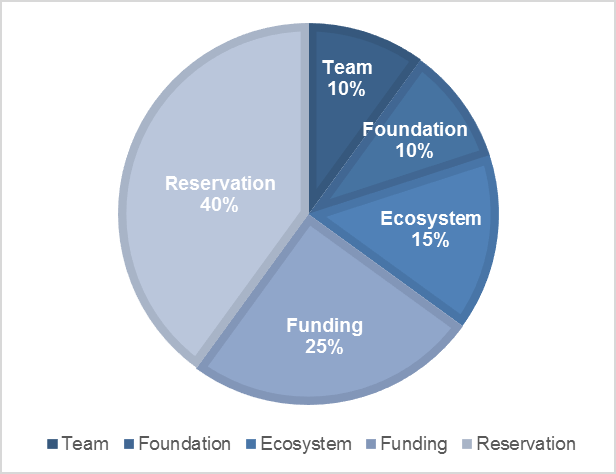 • The portion of Funding is 30% of total HNB issuances. HNB DAO (Decentralized Autonomous Organization).